There is a growing concern about the deplorable standards in the education scenario in general and higher education in particular in Kerala. Many academicians also observed this trend in many parts of the country as well. As far as Kerala is concerned the problem is at the root. Some 35, 40 years ago schools and colleges in Kerala saw to it that the students achieved a minimum of 40 percent of marks to get a pass to the next higher class. Detention in a class for want of this 40 percent was not at all rare. It was not a social stigma and in fact some of them later worked hard to come out with flying colors in their academics. Thus, in a way this policy also demanded a certain amount of hard work on the part of the student and the student worked to achieve this level. To clear the Secondary School Leaving Certificate (SSLC - Xth grade) exam of the Kerala state board, a student needed to get 35 percent in each of the 12 papers (3 languages (5 papers) and 3 subjects (7 papers)). In the mid 1970's this was a bit diluted so that a student passes, if she/he scores 90/250 marks in languages and 120/350 marks in subjects. This was perhaps done to cover up students' deficiencies in English and Mathematics. Still many students did not clear the exam as the valuation was strict enough and no schools (may be very few) bothered about 100 percent pass in SSLC. The pass percentage was somewhere in the range of 50-60 percent. Unless one gets more than 50 percent (in villages) and more than 80 percent (in district head quarters) there was no hope to get admission to the first two groups (Science) and the rest went to the remaining two groups. Importantly, this ensured that those who joined college education had the minimum standard to follow what was going on in the class. Reading a couple of good books in the area concerned is far better than publishing two papers for the sake of publishing. However, over a period of the next 10, 15 years this scenario became so bad that students started getting marks in the range of 90 plus, 95 plus, even for languages and schools getting 100 percent pass became so common. Even our common sense will tell us that the distribution of marks scored as well as the pass percentage achieved can never be so skewed in our society. My generation knew, importantly, what we were not capable of, (a consequence of the strict valuation) but this generation does not have any idea about their limitations. Consequently, in an effort to maintain the 'image' institutions resorted to unethical practices in academics. With all these dilutions at various levels plus the liberal valuation, a score of 80/100 nowadays carry only the weight of 50/100 in my generation. Coming to the common practices in evaluation, we have grace marks for achievements in sports and arts, which the student can distribute over the spectrum of papers in the course of study in such a way that maximum papers are cleared! Coming to the role of teachers, the NET exam by UGC may ensure a certain level of academic maturity in the candidates for college teachers, but having a PhD has very little to do with respect to the teacher in a candidate. A consequence of the PhD requirement in lieu of NET led to the deplorable standards of PhDs. To check this erosion, universities started stipulating that there must be a minimum number of publications before a thesis are submitted for PhD. This resulted in many publishers coming up with spurious journals where one can get her/ his 'research' published by paying 'article processing charges'. In this mad run, educationists and administrators forget that education is a cultural activity and not a commercial one. Those who are passionate about their subject will pursue their interest to the extent possible. Reading a couple of good books in the area concerned is far better than publishing two papers for the sake of publishing. Recently, every institution is after getting accredited by an agency such as NAAC or NBA or even ISO. The amount of administrative and paper work needed for a visit by an agency is huge as also the fee for applying. Quantifiable things do not contribute much to its success. The end result of all these policy changes unfortunately, is not encouraging or positive. The standard of students getting admitted to professional programs and post graduate programs is getting lower and lower by each passing year. This cannot continue for too long and the social system will be under huge pressure without having good health, engineering and education system run by the state. Slowly but steadily private institutions are creeping in to reap the benefit at the cost of a good social system that is the responsibility of the state. 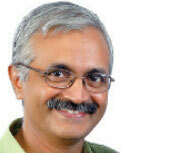 He has been doing research in probability distributions and related processes since 1991 and has a PhD (2002) in Statistics from Cochin University of Science and Technology, has published research papers in various national and international journals of repute and has participated and presented papers in conferences in Probability and Statistics. He is Carnatic music enthusiast and a sports lover too.